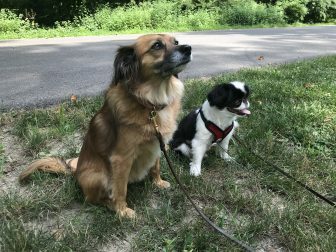 Waveny visitors benefitting from a nonprofit organization’s efforts to improve trails at the popular park just over the border from Darien soon will have another new footpath to enjoy. The Waveny Park Conservancy’s long-standing plans to upgrade pedestrian paths alongside the main road through the park, from South Avenue to the main house, soon will be completed. — This article originally was published by NewCanaanite.com. “The old trails there are very worn down and basically dirt trails,” conservancy board member and New Canaan Parks & Recreation Commission Chair Sally Campbell said when asked about the project. The new trails will connect the entrance to Waveny from South Avenue all the way down. 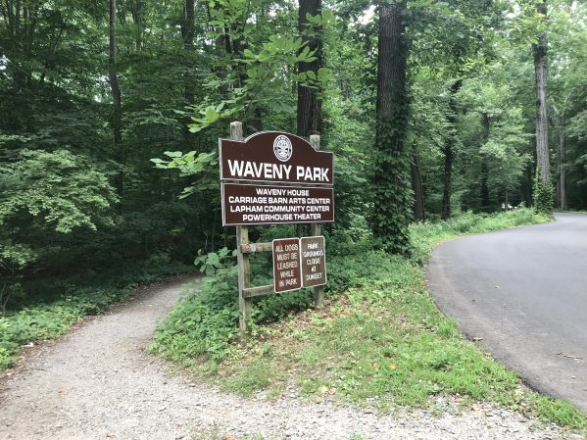 The New Canaan Board of Selectmen on July 10 unanimously approved a $45,800 contract with a local landscaping company to finish the final stretch of the trail, meaning park-goers starting at South Avenue can use it all the way into Waveny. New Canaan Public Works Director Tiger Mann said at the meeting that the footpath would run east of the culverts to the South Avenue entrance. The group has big plans for the park, with multiple projects planned over the coming years, including a major one, now underway, at the former “cornfields,” and another to come at Waveny Pond. New Canaanite Tina Allen said she’s in Waveny four days a week and that she’s enjoying the trails.